Does your dog like to bark? Can’t get him to stop? Why not try one of our bark collars. 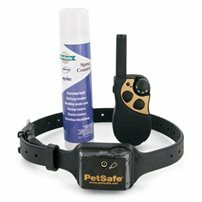 There are several options available, including spray collars and remote trainers. Have a dog that likes to wander? Remote trainers are also great for helping your doggie learn his boundaries. You could also try one of our electric fences, like the Sport Dog In-Ground Fence. The SportDOG STEALTH Radio Locator has been proven safe, comfortable, and effective for all dogs over 3.6 kg. 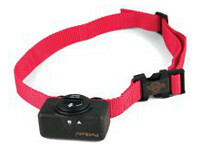 It has been designed for tracking dogs while hunting or training in the field. The handheld receiver receives a continuous radio signal from the collar transmitter indicating the direction, estimated distance, and location of your dog from your own location. Up to 9 dogs can be tracked on one receiver with the addition of STEALTH Add-A-Dog collar transmitters. FEATURES: Compact design, Harmonized 868 MHz frequency, Automatic direction indicator, Range of 5 km up to 16 km, 3 Year Warranty. 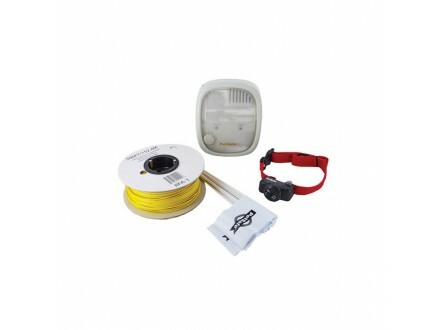 Features: Waterproof Design Technology – transmitter and receiver Up to 16 Stimulus Levels. User can select from 8 levels each within a low, medium or high setting on the compact transmitter. Vibration and Tone only options. Rechargeable – 2 Hour Charge time. Expands to 3 dogs 3 Year Warranty. Features: 18 levels of correction that adjust automatically. 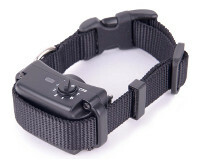 On/Off switch Waterproof Collar adjustable to neck sizes from 6 to 28 inches. Automatically adjusts to deter barking. Dual sensor technology for PerfectBark detection every time. The lightest bark collar available, only 1.5 ounces. Features: European Quality Light, single body construction Removal of cap allows for adjustment of tone. Features: Not too hard – Not too soft Knobs designed to prevent hard mouth. Air valve allows adjustment of weight and buoyancy. High visibility orange-good for throwing against all backgrounds. Available in a variety of colors, sizes and textures for dogs of all ages. 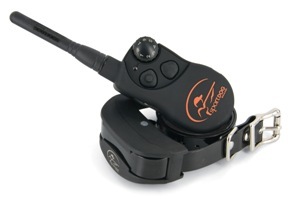 Features Extra Collar Receiver Compatible with SportDOG Remote Trainer: SD-1225E, SD-1825E. 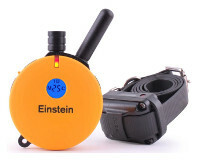 Waterproof and Submersible to 7.6 m (25 ft), per NEMA 6P and IP67 standards. 40-60 Hour Battery Life Charging Station and Universal Power Adapter included. Stops your dog at the very moment he starts barking. Each time the dog barks, the sound-sensitive collar releases a harmless spray that interrupts the dog’s barking. Use of the product gradually conditions him to stop barking. Your dog will adapt quietly and easily to his environment while providing your family peace of mind. 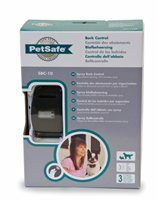 Options: ‘Anit-Bark Spray Collar Deluxe’ or ‘Little Dog Spray Bark Control Collar’. This range includes models specifically for smaller or larger breeds of dog. Most models feature our patented Perfect Bark TechnologyTM which ensures your own dog’s bark is the only sound to cause a correction. This best-selling, lightweight collar uses a simple vibration sensor to detect your dog’s barking. The safe and gentle stimulation level automatically increases through 6 levels if your pal’s barking continues. He’ll quickly learn the association and stop the unwanted behaviour. Options: Bark Control Collar, Big Dog Deluxe Anti-Bark Collar, Deluxe Bark Control Collar, Little Dog Deluxe Anti-Bark Collar. This remarkably light, 28 g collar emits an unpleasant but harmless tone to correct your dog’s barking problem. The collar’s cutting-edge, bark-detection microphone can be adjusted to recognize your dog’s unique bark so that no other sound can set off the unit. This collar is most effective when used on small dogs. 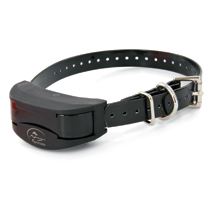 Second, the Vibration Bark Control Collar includes Patented Perfect Bark technology. It uses both vibration and sound sensors (dual-detection) to discriminate each bark from other external noises. 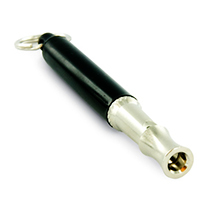 This ensures your dog’s bark is the only sound that will cause the stimulation. This remote spray trainer helps you manage your dog’s behaviour. Press a button on your remote and the collar releases a burst of unscented spray towards the dog’s snout. A few timely corrections with this spray can be very effective for changing misbehaviours or teaching basic obedience commands. With this deluxe system, training your little pal is easy. The lightweight receiver is made especially for small dogs, and the unit is equipped with 10 levels of correction and a range of up to 100 yards. Go ahead, take your pal out into the world with the confidence that he’ll behave. Now you can experience the difference a Remote Trainer can make, with less time training and more time enjoying your dog. 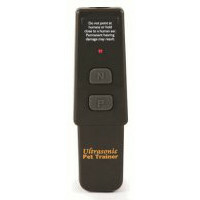 This professional-grade remote trainer uses adjustable vibration stimulation. It’s among the gentlest forms of stimulation available, and with 15 adjustable levels you can customize it to your dog. The single-button simplicity of operation allows you to focus on your dog and not the remote for better training accuracy. 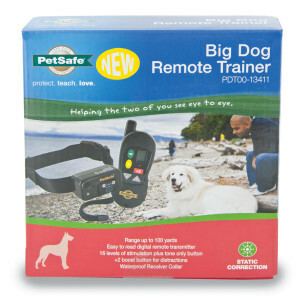 Remote trainers are a great method of communicating with your dog and are capable of teaching customary commands. With repetition and consistency, you’ll build better understanding between you and your dog. These trainers are a favorite for those with sensitive or deaf dogs. In-Ground Fence What a wonderful feeling to give her the freedom to enjoy the yard without worrying about escape or harm. 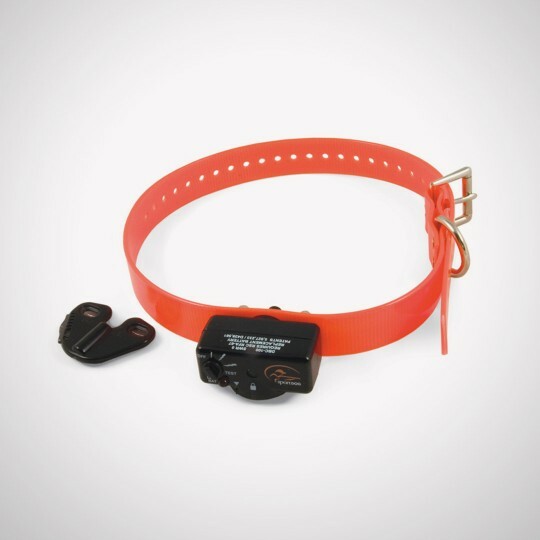 A waterproof Deluxe UltraLight receiver collar and buried perimeter wire combine with a small, sleek transmitter to let your precious pet know she should stay in the yard. The original In-Ground Fence (PRF-3004W) is new and improved! It now comes with our Deluxe UltraLight Receiver collar. 4 adjustable levels of correction plus tone-only mode for training lets you find the right level for your pet. Additional built-in safety features help keep your pet safe in your yard. 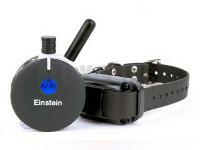 The Einstein ET-300TS is a 1/2 mile range trainer loaded with unique features making it the most humane and effective trainer available. The smaller transmitter is especially well-suited for smaller hands or in situations where discreetness is important. 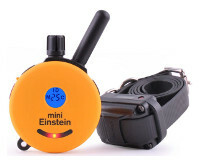 The Einstein ET-400TS is a 3/4 mile range trainer loaded with unique features making it the most humane and effective trainer available. The tapping sensation mode is twice as effective as vibration. Also available in a two dog version (ET-403TS). 3/4 Mile, 100 Levels of Dial Adjustable Stimulation, “Lock and Set” Stimulation Feature, 25 Plus Stimulation Booster, Proprietary “Blunt Stimulation”, Remote Tracking Light (Flashing or Continuous, Momentary and Continuous Buttons, Plus 25 Stimulation Boo. Also available in a two dog version (ET-502A). 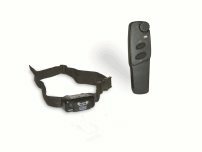 Large Dog Remote E-Collar great for working dog breeds that need a little extra stimulation to get compliance. Also available in a two dog version (ET-802A).